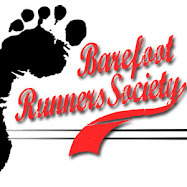 So last night I decided to try running barefoot for my first time. I ran around North Georgia College and State University's Drill Field. It felt surprisingly free and hurt a lot less than I thought. The drill field is probably 1/4 mile with a smoothly paved road and sidewalk. I decided to stop since I was just taking a break from my studies and didn't want to do too much too fast. Dahlonega's Saving The Girls 5k! This event is on June 26, which is about 9 weeks away. I understand that I should not be rushing things. I don't want to, but I need some motivation and I think 9 weeks of training for a little event will be good for me. I have emailed the coordinator of the event for more details on location and terrain. Stage 1 and 2 - 2 weeks: A lot of walking around barefoot with some occasional running. Stage 3 - 2 weeks: Run every other day, increasing 1/8 miles when appropriate. I probably won't keep exact track of this since I intend on running in my neighborhood and local areas, but I will try to restrain from hurting myself and overdoing it. Stage 4 - 2 weeks: Run trails one day, road the next. I will be running around 1.5 miles a day working hard on my form and increasing distance. Stage 5 - 3 weeks: By this time I should be running 3 miles, if not getting close to it. I plan on slowing increasing my pace at this time while still working on my form. 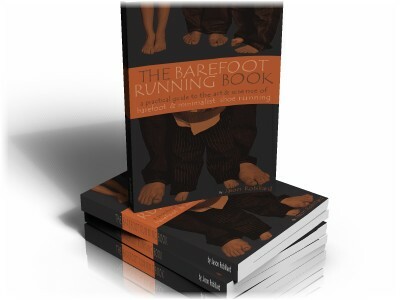 On another running note, I bought Jason Robillard's book, The Barefoot Running Book. It looks to be a great read! Okay, well until later... RUN ON!